Things to do in Bogota, a city full of charm! Unfortunately most people still associate Colombia with the guerrilla and danger, not knowing that the country´s reputation is now changing to that of a safe and tourist friendly country. When you consider adding Bogotá to your bucket list you need to know that this cosmopolitan city is rather large. It has 8.8 million inhabitants and is actually the third largest city in South America, and it is located 2600 meters above sea level. For me three days in this city was ideal. In this time I got to it allows you to enjoy bars and pubs by night at La Candelaria, to visit main museums during the day and to have enough time to enjoy the city. 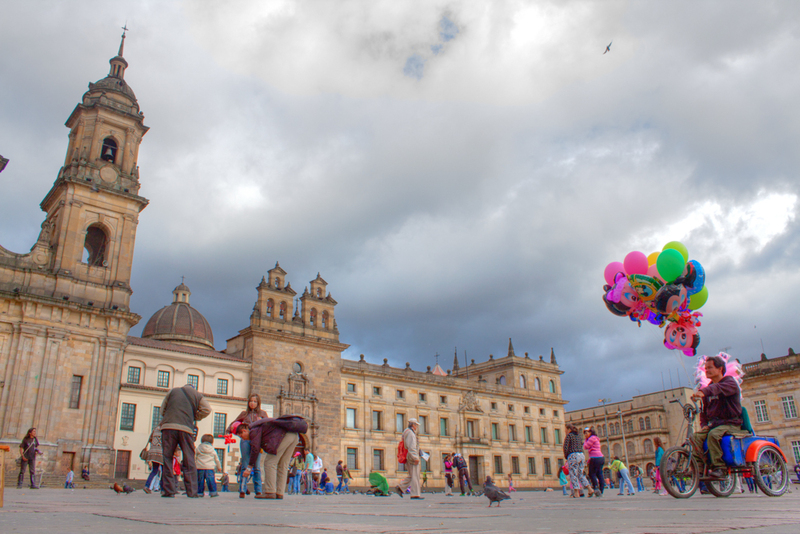 As all big metropolis in South America, Bogotá has a vibrant cultural life and plenty of activities to choose from. There are flights to the airport El Dorado International Airport – BOC, which is just 13 km away from the city center. From the airport you can take a taxi or a bus. This city has a special pattern, made of Carreras or streets located South to North. At the same time you have Calles which are the streets crossing the Carreras which run East to West. If you are in Bogotá, the best way of transportation is the TransMilenio, it has revolutionized the public transportation of the city. You could also take a taxi, but it is not a good idea to stop it anywhere, get a registered official cab from your hotel, a shopping center or use an App. If you would rather book a guided walking or biking tour, or a chocolate tasting tour, click here. This charming square is the heart of the old part of the city and is the perfect departing point for your visit to the city´s main attractions. Surrounding the plaza you find several government buildings, including the presidential palace and the parliament house. In the center of the plaza you find the statue to Simon Bolivar and one of the charms is also to admire the activities taking place there, such as: food and theatre and feeding of pigeons. Wonder along its cobblestone streets in order to enjoy the architecture of the colonial period in the city. Buildings and houses date back to the XVI century and have been beautifully restored and painted with faded pastel colors. You can also enjoy a street art tour, like fellow travel bloggers twoscotsabroad.com. Both locals and visitors agree on this one. A visit to Monserrate must be part of your to-do list. Take the funicular to the top of mountain Monserrate to get a real feel of the size of this city. It is the perfect place to enjoy a panoramic view of Bogota´s skyline and to get some traditional Colombian food. Housing one of the most important international collections of art, this is a well laid captivating museum you want to visit if you are in the city for a couple of days. 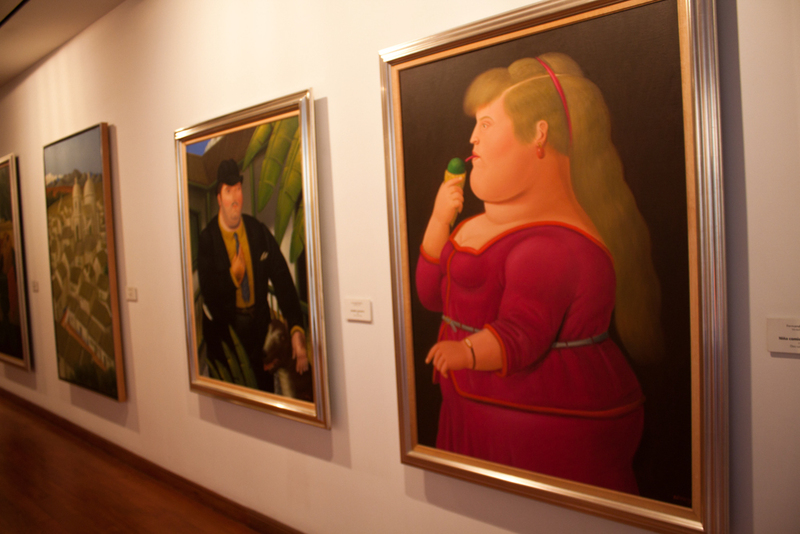 The museum is made from a large donation of 208 art pieces by renowned colombian artist Fernando Botero, consisting of 123 works by the artist and ancient and modern art from international artists including Picasso, Renoir and Miró. 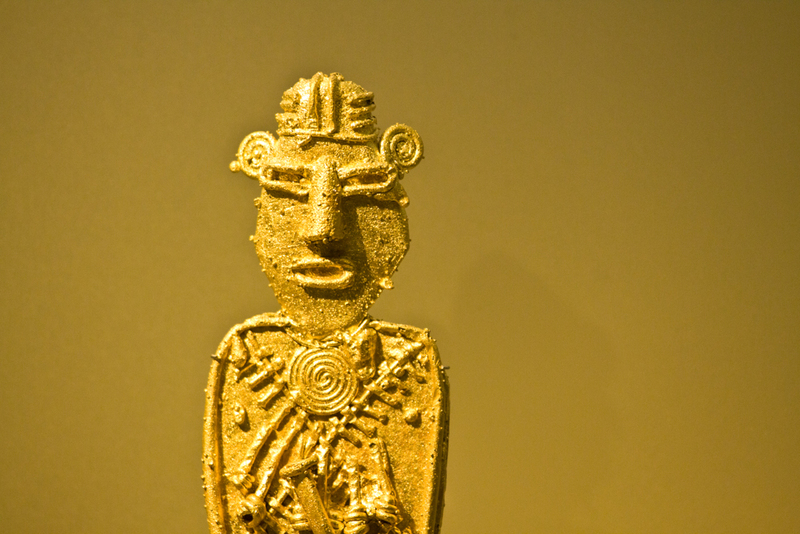 This fascinating museum boasts 30 thousand nicely organized gold pieces, making it the largest collection worldwide of Pre-Hispanic gold work. The museum also displays other archeological objects. These artifacts help understand more about the lives of pre-Columbian cultures in this part of the world. Another great option is to rent homes from local hosts via AirBnb. In addition to renting local unique accommodation & feeling more at home, you can get $38 off your first adventure if you join for free here before November. In addition to dressing in layers, remember to pack a hat and sunscreen. Remember that the sun is stronger around the equator. You can stroll down the cozy streets of La Candelaria, or visit Bolivar square to get the real feel of the city., go out to Monserrate for a breathtaking view of the city and enjoy wonderful works of art at the Golden and Botero museums just as some of the main options, there is a lot more to enjoy in this vibrant South American metropolis! What were your impressions of this city? If you are like me, you will probably want to know all about places to visit and things to do in Colombia, so I highly recommend taking a look at the Lonely Planet Colombia travel guide for more information, tips and inspiration!